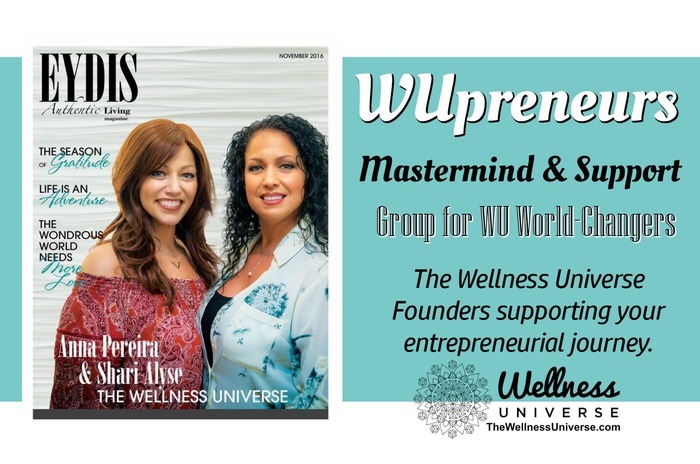 WUPreneurs - The Wellness Universe Founders supporting your entrepreneurial journey. Join us as we gather and have an interactive session filled with positive support, guidance and real sharing to connect and support each other as we each tread daily on the path of the unknown. Together, we will learn from each other, get support and bond. If you are looking for fresh ideas, find them here! If you are looking to expand your network, find it here! If you feel alone find your ultimate support group here.